1. 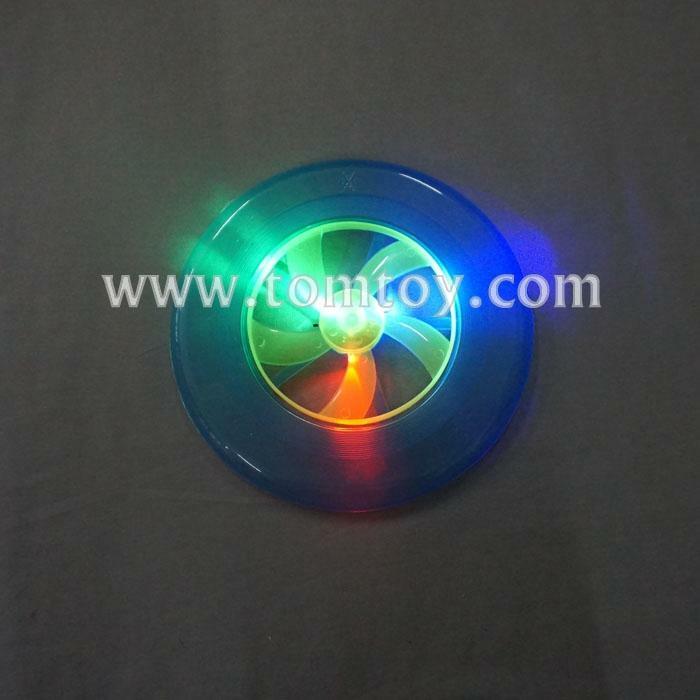 Frisbee diameter: 8.7'', weight: 59.5g. 2. Features 3 LED lights, including 1RD, 1BU, 1GN. 3. Power: 3-LR1130 batteries included and installed.